While the manufacturing industry has long been a part of the American economic lifeblood, it has certainly had its share of highs and lows. Cayce Washington, owner of Valley Tool in Water Valley, Miss., had experienced his own personal adversity, but finally found his place when he entered the doors of a manufacturing facility at age 21. By age 25, Washington was owner of the newly named Valley Tool. The company started small, but word spread quickly about the shop’s precision products. Today, Valley Tool serves many big-name original equipment manufacturers (OEMs) from around the globe, in industries ranging from automotive to sporting goods. It has found success, with orders soon outpacing capabilities. The company needed the ability to handle the growing demands for increased part volumes and quality requirements that only horizontal milling machines could provide. Valley Tool’s production originally consisted of standard vertical machining centers that could take on its small-volume orders. But the shop soon found that these machines made it difficult to adapt to larger orders, due to a need for extensive operator attention and limited spindle utilization. 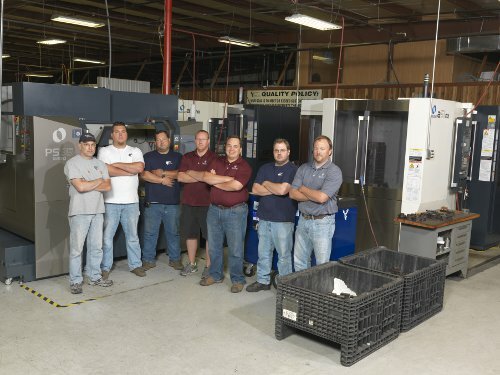 Valley Tool realized that it needed a high-performance machining center that could handle the influx of higher volume jobs, so it invested in a Makino a51nx horizontal milling machine. Later, the company invested in a Makino PS95 vertical machining center to replace some its commodity verticals used for small production runs. The investment in the a51nx horizontal milling machine paid off almost immediately. Valley Tool not only met the requirements of its initial capacity requirements, but also saw more and more large batch jobs coming its way. This increase led the company to invest in a second a51nx, and Valley Tool saw profits increase 20 percent in just two years. Valley Tool knows that answering customer demands is paramount to maintaining success, and it feels as though the company’s relationship with Makino and its high-performance equipment can continue to keep it ahead of customer demands.